Gulf Incon is the professional supplier of Hydratron’s hydrotest pumps all over UAE and Middle East. We supply multiple ranges of Hydrotest Pumps of Hydraton such as Manually operates, hand pump series, double head double acting series, Air driven Hydrotest pumps etc. Manually operated two speed hydraulic pumps are suitable for use with a wide variety of fluids including water. Manufactured predominantly from high quality aluminum alloy, with stainless steel piston assemblies, these hydrotest pump series are lightweight, versatile and robust. The pumps two stage piston design gives a high flow low pressure stage of 3.05 inch3 up to 725 PSI pressure. Hydratron manufactures a comprehensive range of Hand operated and Air Driven Liquid Pumps capable of developing pressures in excess of 45,000psi (3100bar). Their compact size, minimal weight and ability to operate in many environments gives them a broad appeal in a wide range of duties, including mobile, fixed and offshore installations.The Hydratron AZ-1& AZ-2 Air Driven Liquid Pump is a reciprocating, positive displacement pump with a directly coupled, integral linear reciprocating air motor, designed to generate High Pressure Liquid flow. The pressure increase is made possible by means of the area ratio between the larger diameter air drive piston directly connected to a smaller diameter liquid plunger/piston. Using our various material and seal options they are suitable for pumping a wide range of liquids including water, oil, water/glycol and many other chemical fluids. All Models can easily be incorporated into easy to operate Standard System hydraulic power units. 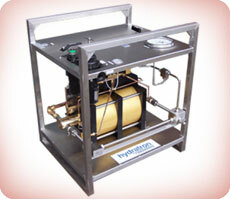 And our main highlight we supply Hydraton's Trolley Mounted Series Hydro Test Pump, ready and waiting for collection! Hydrostatic testing involves filling a vessel or system with a liquid, typically water, and pressurizing until the required test pressure is reached. Typically, once the test pressure is reached, the test is complete. 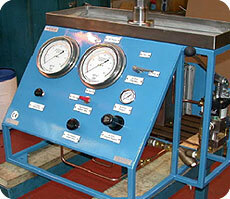 For other tests, hydrostatic pressure must be held for a specific length of time. Hydrostatic testing can be used to identify system leaks, structural integrity, manufacturing flaws, corrosion or maximum burst pressure. It can be used during routine safety inspections, to verify system modifications or validate repairs have been made correctly. Manual Hydrostatic Test Pumps from hydratron are ideal for testing residential water lines, heating or refrigeration systems, pressure testing small tanks, and sprinkler, boiler and solar systems. They are lightweight and easy to use. Equipped with shut off valve, gauge, adjustable internal relief valve and a 10 foot output hose is included. Valve Test Benches :- Hydratron Valve Test Systems have been developed as a result of many years of experience and customer feedback. We have evolved designs to suit both Relief Valve (PSV) and Control Valve Testing requirements.Covering a wide range of valve sizes and types, the systems are highly engineered to support the needs of both valve manufacturing businesses and service/repair workshops. They can be supplied with hydraulic or manual clamping mechanisms to suit any flange design as well as with adapters for threaded or other connections.Our Relief Valve Test Rigs are commonly available in a desktop type unit for small valve testing. 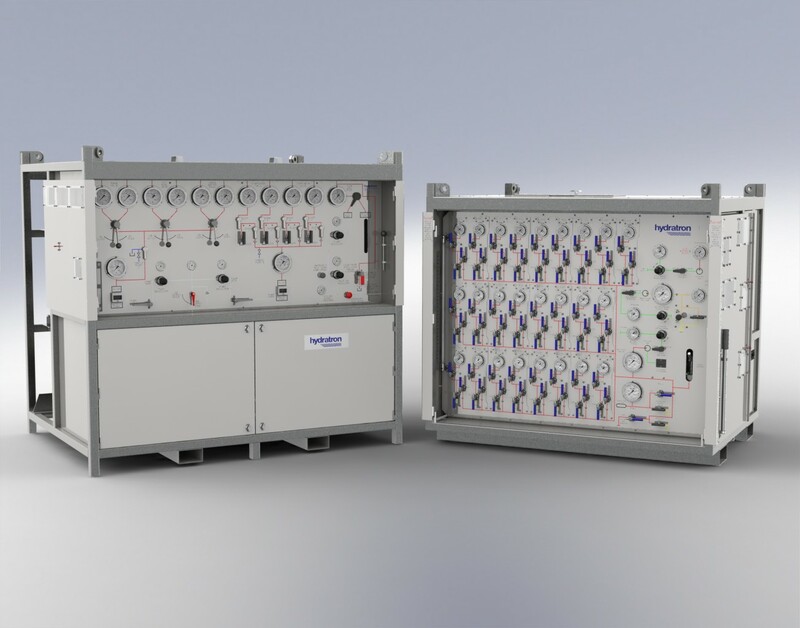 Our Control Valve Test Rigs are available in both horizontal and vertical configurations.Relief Valve Test Rigs can be supplied with varying levels of automation and data acquisition, including touchscreen operation and wireless connectivity.Hydratron Valve Test equipment can be containerized for portability. We have a great deal of technical sales and engineering design capability to interpret your requirements and propose a best-fit solution.